Want discounts on your shopping, flights, utility bills and more, for FREE? 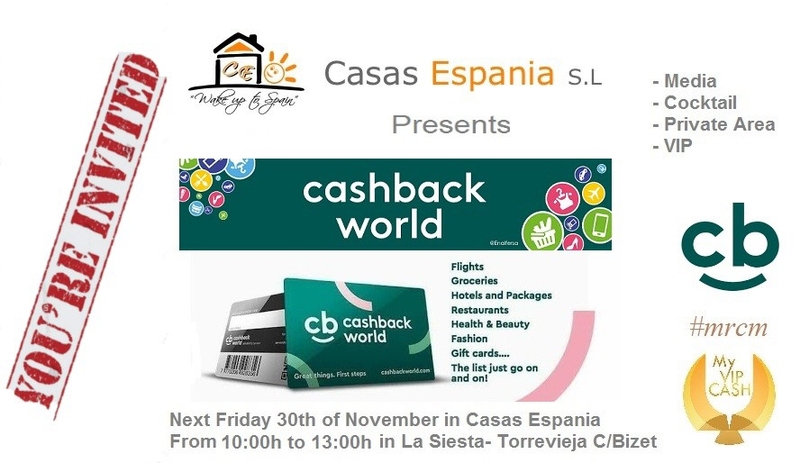 This month Casas Espania have been one of the latest brands to act as a Loyalty Merchant for Cashback World. You can find your Cashback Card on the Cashback World website or under your profile in the Cashback App. There are also plenty of Loyalty Merchants in your area that issue Cashback Cards. You can even get a Cashback Card with your favourite store's logo. * The margin benefits are dependant on the products purchased and the Loyalty Merchant. All hereto information on this promotion is therefore without guarantee.